So you’re planning on opening a coworking space. You start to plan what it will look like, where it will be located, and the materials you’ll need. You’re daydreaming of all the amazing people and fun productive times to be had once it’s built. These are all great things to consider, but what is the strategy behind your new coworking space? How will you establish the culture of your brand? There are three things need to be created and executed during the entire life cycle of your business. 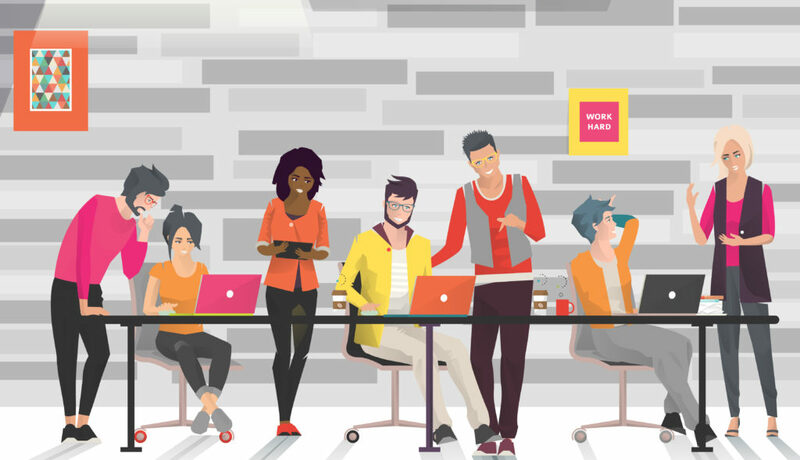 They work together to create a foundation and direction, to establish the culture, to ensure understanding of what your space represents, and to stand out in the coworking industry. Let’s break these concepts down. A mission statement identifies the company’s business aspects and objectives. It’s very useful to drive the culture through the veins of every person in the company and space. How will you be different in this industry? Who are your stockholders, employees, and suppliers? What is the benefit of your company? Your vision statement illustrates the desired future of the company. It’s how your coworking space will look if it executes its mission statement successfully. It’s often assumed that the mission statement and vision statement are interchangeable; however, that is not the case. Where will the company be in 1, 5 and 10 years? What are your primary goals and when do you need to reach them? Define what the company believes in and how everyone is expected to behave with one another. Values are used to provide moral direction as well as fuel the mission statement. These values need to be engrained to each person, in all levels of the organization. Click here to see an example of our values or “norms” for our Montrose, CO location of Proximity Space. These three things will help guide the management of your space with a big-picture framework. They’ll create a culture you desire and ensure everything (from employees to marketing campaigns) is cohesive with what your space is striving to achieve. Now that these pivotal steps have been created you’ll start to notice the difference between coworking spaces and maybe be able to fine-tune your own strategic direction. Cowork on!